Traveling by train was a given when I was living in China. I've never ridden a train in the States, but in China, it was the most convenient way to travel. For weekend adventures, my friends and I would stuff our backpacks as heavy as we could carry and take a cab or the bus to the Dalian train station. From there, we'd head off to explore other cities in the northeast like Tianjin, Harbin and of course, Beijing. With many cities being an 8-12 hour train ride away, traveling at night was the most efficient, and there were a few types of tickets you could purchase. The cheapest option was to sit up all night in the hard or soft seats, an option we learned the hard way as a completely miserable way to travel for that many hours. If you wanted to lie down and sleep, then there were the cars with bunk beds, and you could choose between the hard sleeper which was an open car with rows of bunks, or the more luxurious soft sleeper with a private compartment containing four bunks. Check out some of these photos on the Travel China Guide. I only shelled out money for a soft sleeper once, and traveled by hard sleeper for most other lengthy trips. Although seriously lacking in privacy, it was a decent way to travel and be able to stretch out and get some sleep. The bathroom situation, though, with the Chinese-style (squatter) toilets opening up to flush over the train tracks rushing just inches beneath you, was something else! I couldn't help but reminisce about all those adventures in my 20s while I was making the fondant decorations for Brody's 1st birthday cake. 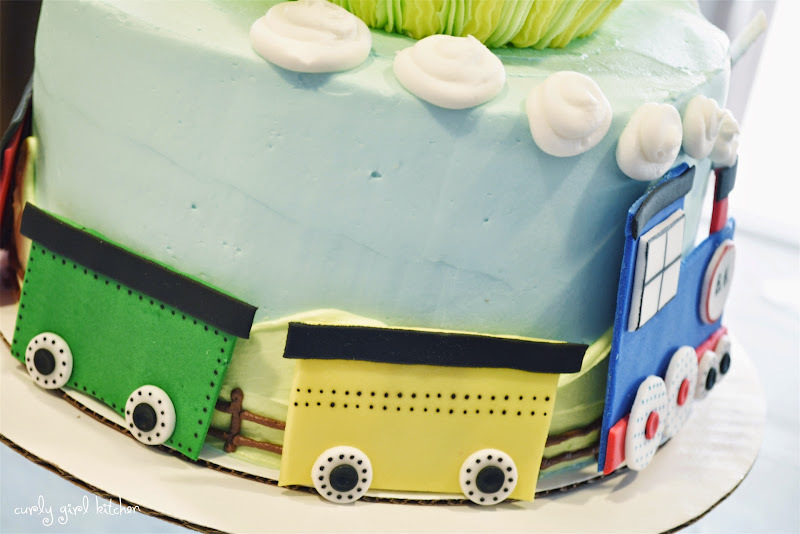 The theme for the party was trains, so I wanted to make a cake with a train circling around, with puffy clouds of smoke floating up into the sky. 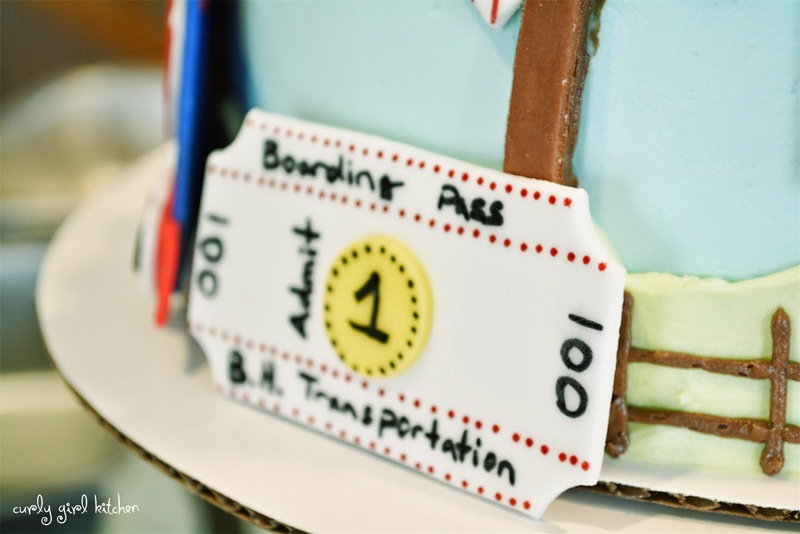 The decorations are all made from fondant, and really are just a combination of squares and circles put together, with edible food coloring pens for the finer details like the polka dots on the wheels and the writing on the train ticket and signs. 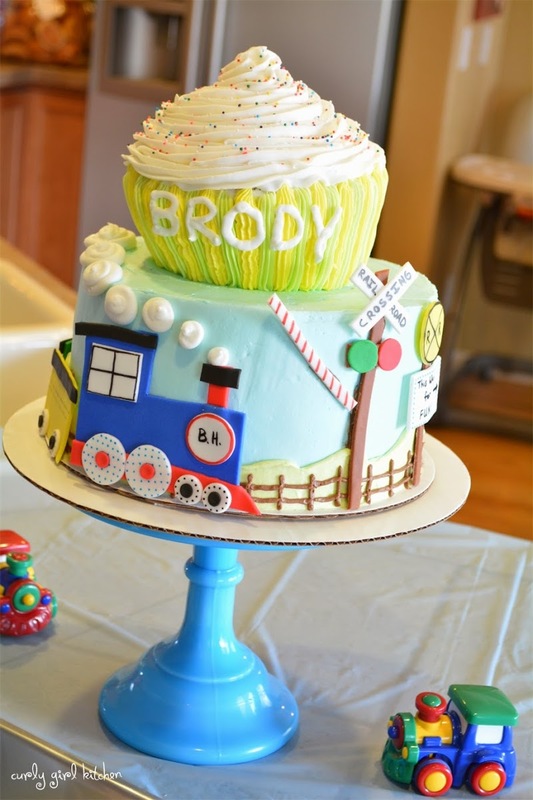 Everything else - sky, grass, train tracks and smoke - is buttercream. 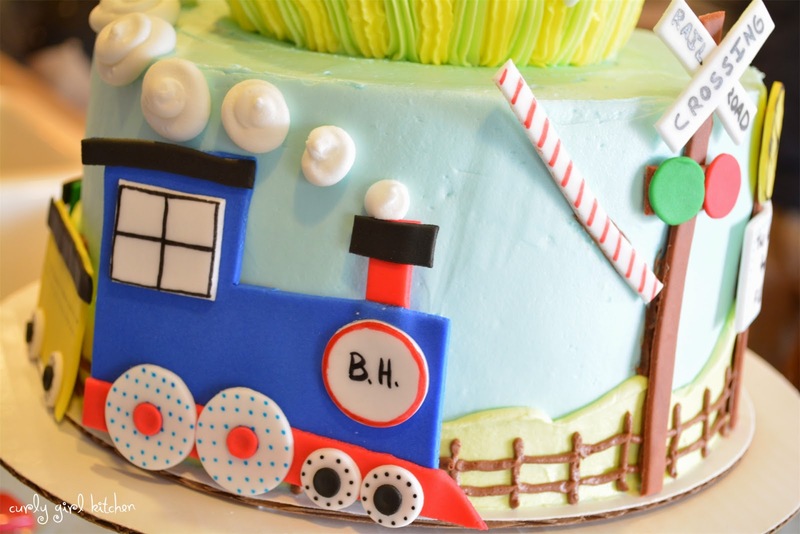 My favorite piece was the engine, with its bright blue and red colors, two sets of cute little wheels, and B.H. 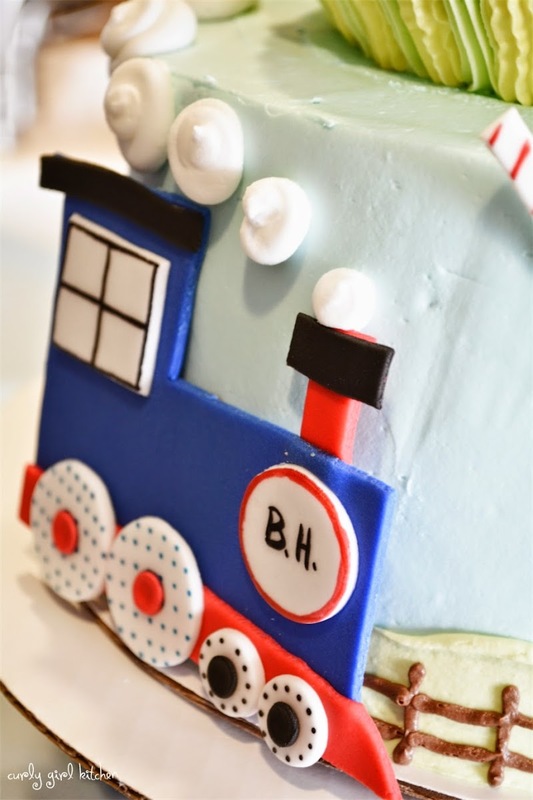 (the birthday boy's initials) for B.H. Transportation, an idea I pulled from the birthday invites. I don't think I ever rode on a train this cute in China, though!